Trusted by hundreds of fire stations and tens of regional authorities. 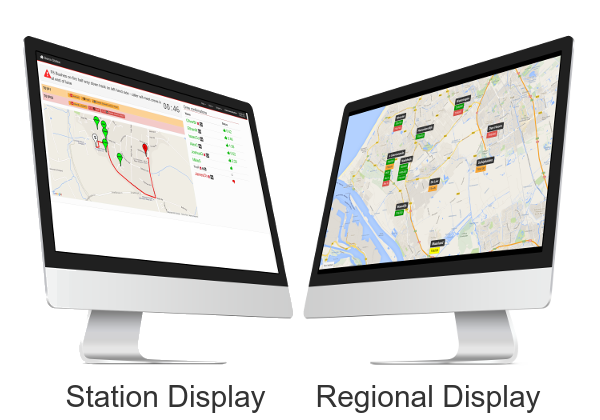 Whether you are looking be in control over your station's readiness or to manage an entire region: FireServiceRota has the right plan. The 'starter' plan offers a simple and powerful solution with the flexibility to let the software grow with your needs. Ideal for bigger stations working with multiple teams and resources. Tailor made for multiple fire stations in a region. With FireServiceRota you can upgrade, downgrade or cancel your subscription any time. You don't have to sign a contract. Payments are made on a monthly basis. We charge per fire station, not per user. The 30 day free trial has no strings attached. You can cancel your subscription at the end of this period without cost incurred. FireServiceRota works in 'the cloud'. This means you don't need any servers or maintenance staff. All you need is a computer, internet, an email address and the list of users you want to start with. It's that easy.